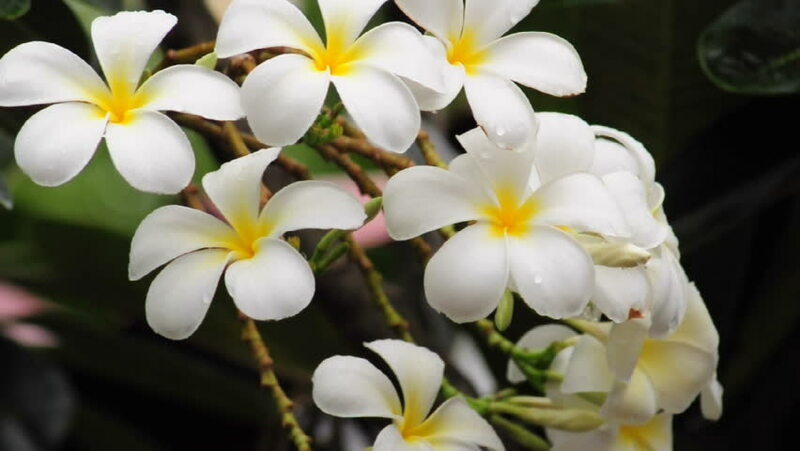 Frangipani flowers in the rain. 4k00:10white flower after raining on early morning. hd00:10Hawaiian Plumeria flowers used to make aloha leis.